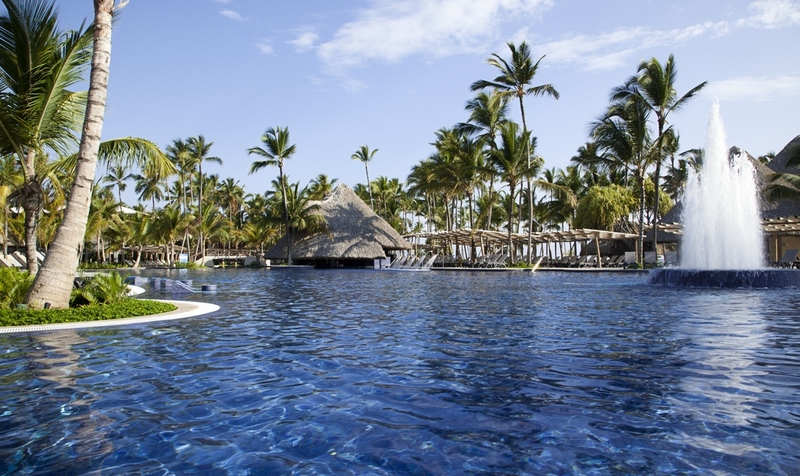 A short 15-minute drive from Punta Cana International Airport in the Dominican Republic is this stunning resort, located within the Barcelo Bavaro Resort Complex. 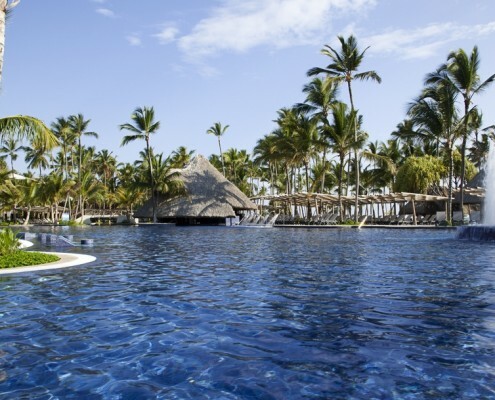 Situated on one of the world’s top ten beaches, according to National Geographic, Barcelo Bavaro Palace Deluxe is an all-inclusive paradise where shoreline coral reefs turn the ocean into a natural pool. 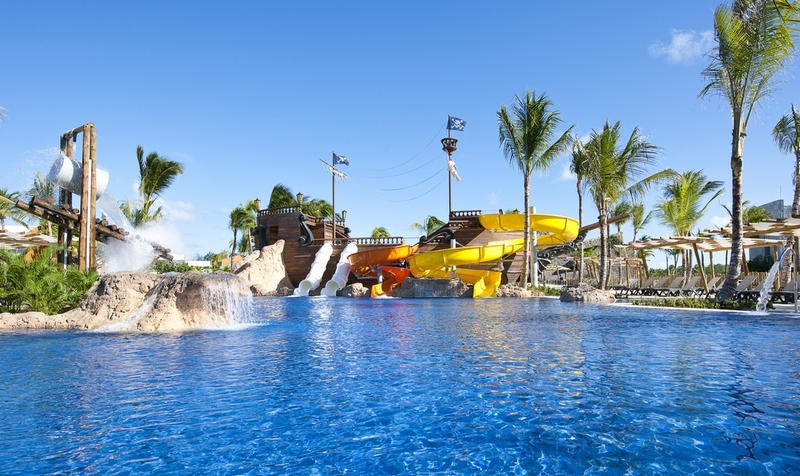 Enjoy four man-made pools at the resort, including one just for kids, one just for adults and one semi-Olympic pool. 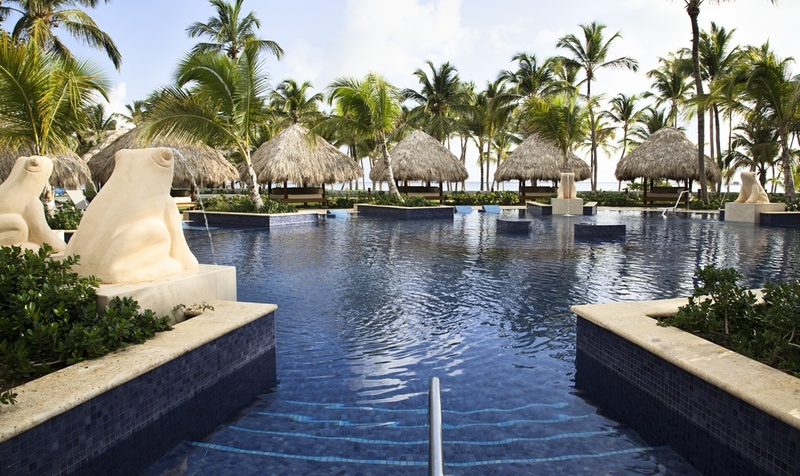 Water spouts and pool beds are just two of the fun activities focused around the pool area. 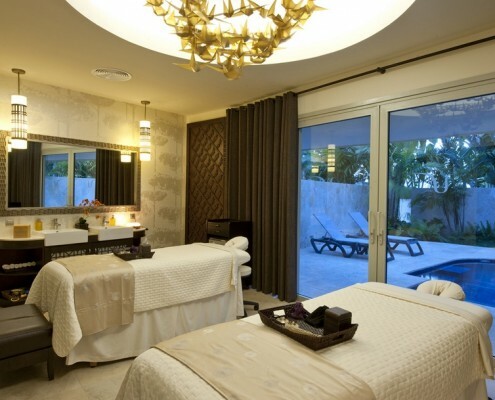 U Spa offers all the treatments and therapies you need for relaxing and rejuvenating. 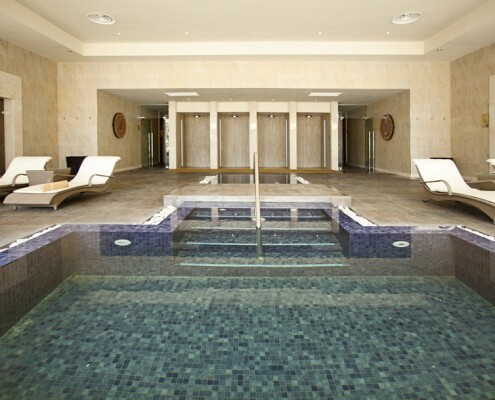 Hot and cold water Jacuzzis, a sauna and steam bath and a hydrotherapy circuit are offered here. A well-equipped gym can also be found at U Spa, offering cardio machines, weights and rooms for spinning and yoga classes. 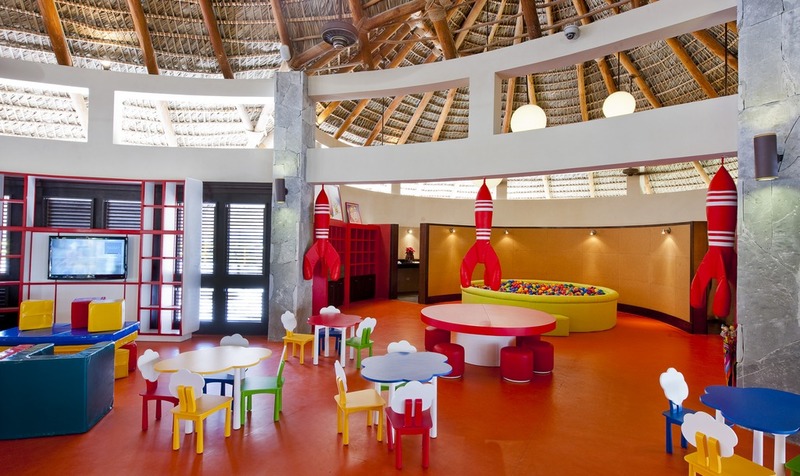 Children can enjoy the Kids Club and the Maxi Club, with activties for both the youngsters and teenagers. 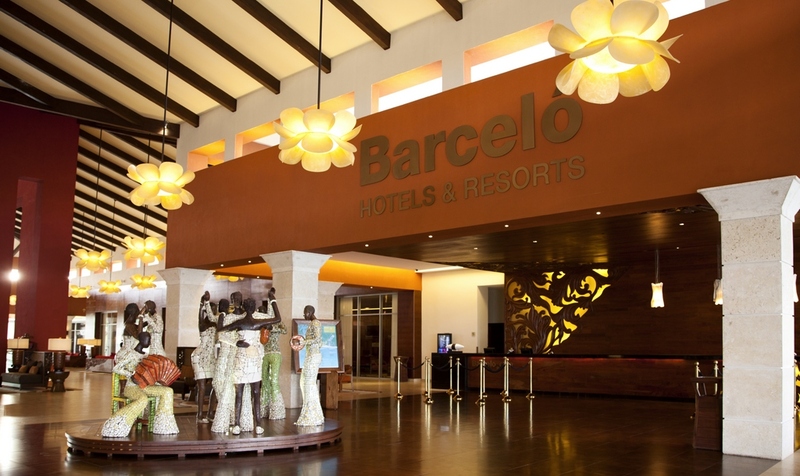 With over 1,300 rooms, Barcelo Bavaro Palace Deluxe has the right accommodations for everyone. 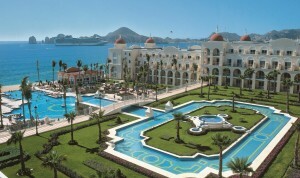 Most offer a private balcony or terrace with a Jacuzzi for two, while some open onto a private garden. 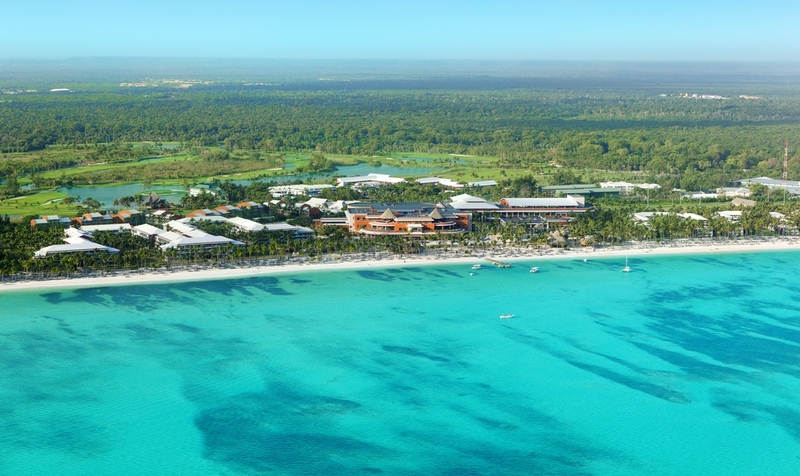 Stunning views of the ocean, gardens or golf course accompany your room or suite’s minibar, Raindance shower and luxurious bed. 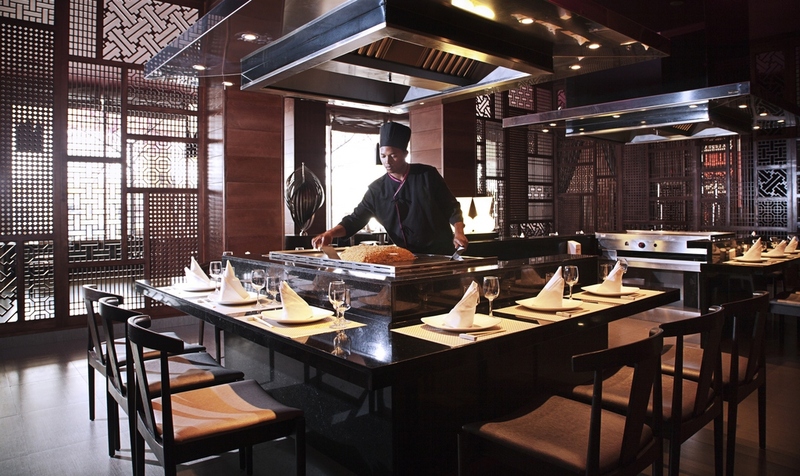 Dine at any of the 11 restaurants at the resort. Whether buffet or a la carte, you’ll find the menu you’re craving. 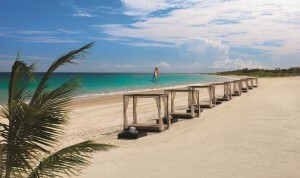 Options range from local Dominican specialties and Mexican fare to Italian, Japanese, steak and seafood dishes. 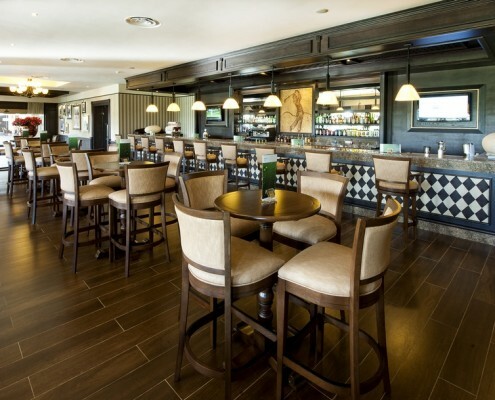 Enjoy a cocktail any time of day from anywhere in the resort. 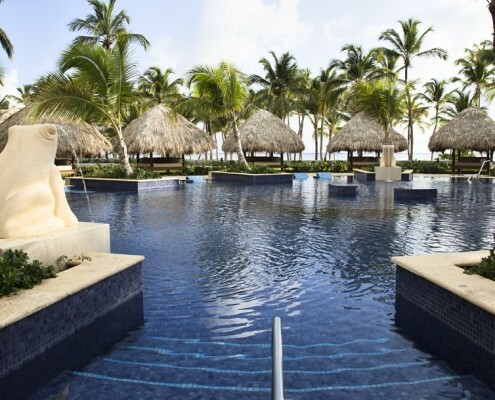 Four pool bars keep you refreshed as you swim or sun. 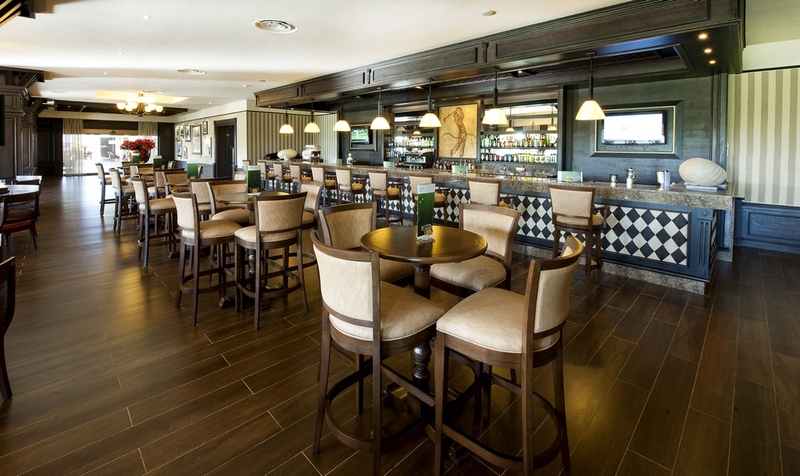 A 24-hour sports bar, golf course bar and lobby bar are additional options. There’s even a non-alcoholic Teen Disco Bar. 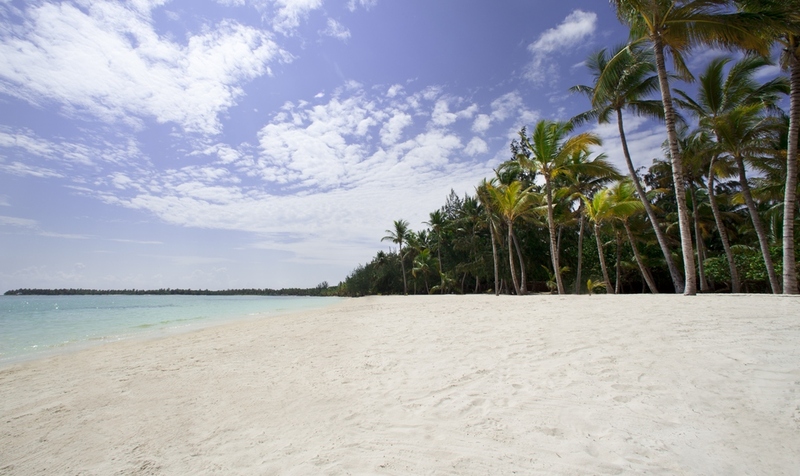 Snorkel, windsurf or kayak along the sea. 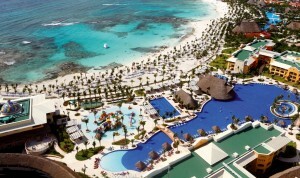 Seven tennis courts, 4 multi-sport courts, full-size soccer and baseball fields are available to guests. 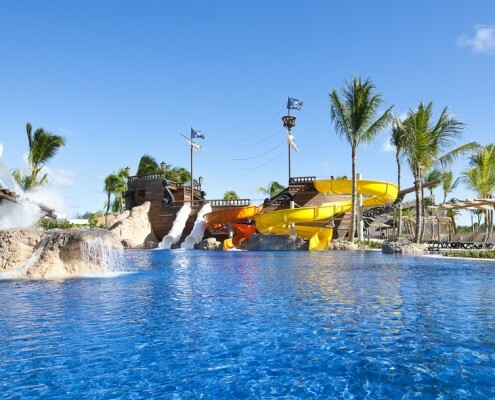 Live theater shows, an action-packed casino, nightclub and the Pirates Water Park combine for non-stop fun during your stay. A P.B. Dye-designed 18-hole golf course will challenge even an experienced golfer. 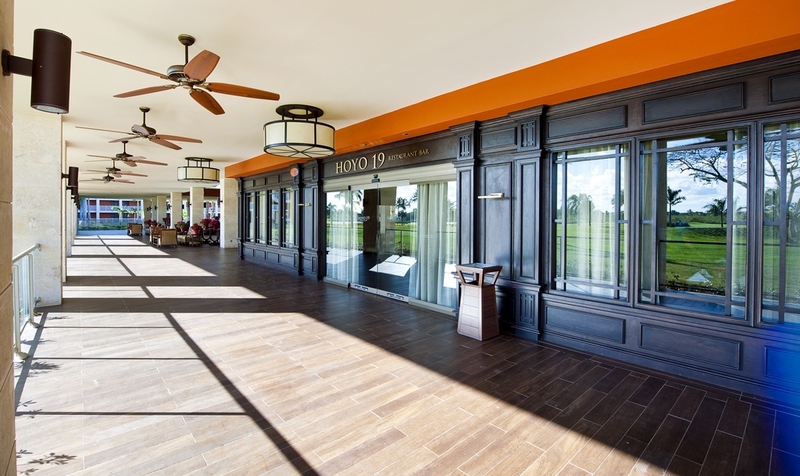 Rooms offer golf course views and ultra-convenient course access, a terrace or balcony, coffee maker, hair dryer, iron and ironing board, safety deposit box, 32-inch LCD TV, telephone, minibar, and sensor lighting system, and iPod and MP3 connection. Occupancy: 3 adults / 4 total. Bedding: 1 king or 2 double beds, plus sofa bed. 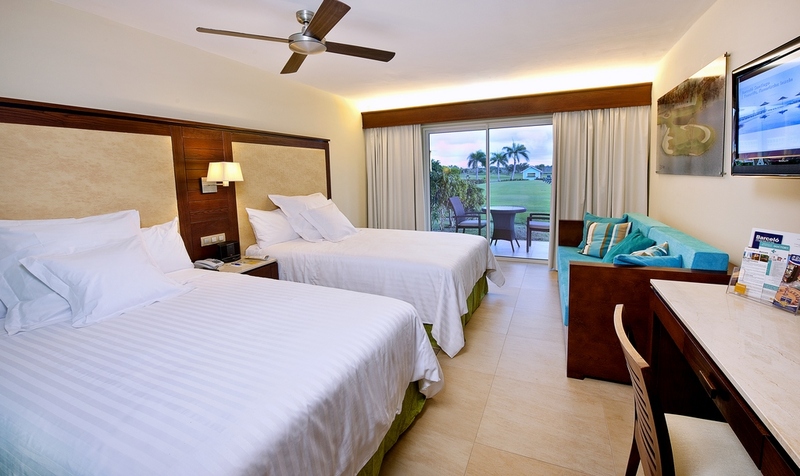 Rooms have a view of the gardens or a partial ocean view, terrace with whirlpool for 2 people, coffee maker, hair dryer, iron and ironing board, safety deposit box, TV, telephone, minibar, and sensor lighting system. Occupancy: 3 adults / 4 total. Bedding: 1 king or 2 double beds, plus sofa bed. 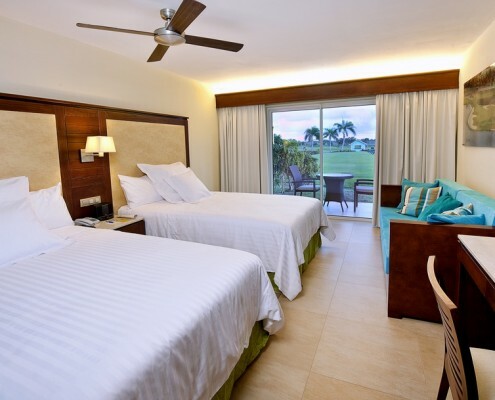 These 2-bedroom, 2-bathroom accommodations offer golf course views and ultra-convenient course access, a terrace or balcony, air conditioning, fan, minibar, 32-inch LCD TV, bathroom with dressing table mirror, rain showers, slippers, bathrobes, and iPod and MP3 connection. 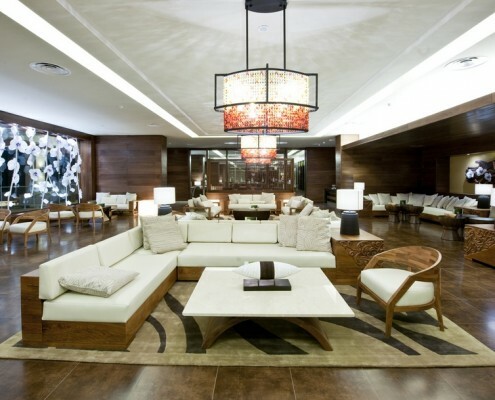 All guests booked in Club Premium category, will have access to the “Premium Club” which includes the following: Personalized check-in and check- out; private lounge which offers a reception desk, table games, snacks, etc. 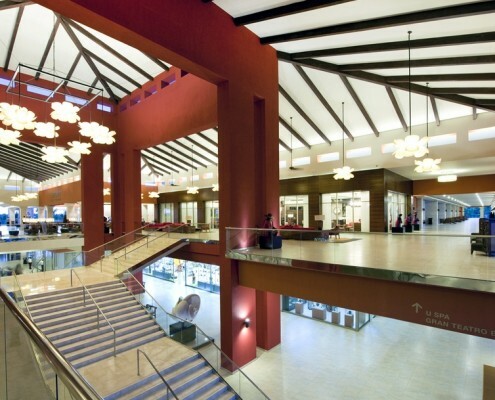 Also included are priority restaurant reservations, and La Comedie Restaurant at no charge, express laundry service (same day return), and free Internet in the lounge and business center. 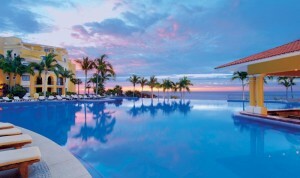 Other personalized services include confirmation of flights and extension of stays. 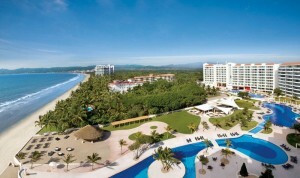 Early check-in/late-out (3 hours) at no additional cost based upon availability. 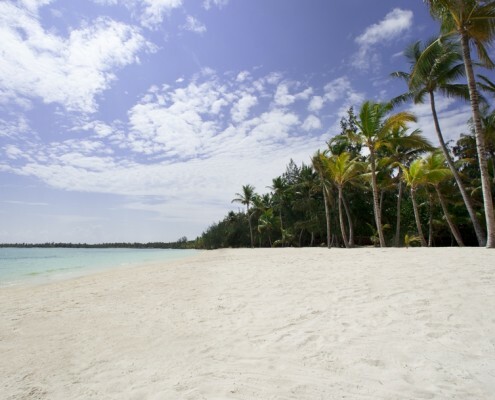 Located oceanfront and features a balcony or a terrace with a hydrotherapy whirlpool, air conditioning, fan, minibar, 42-inch LCD TV, WiFi, safety deposit box, coffee/tea maker, iron and ironing board. The bathrooms feature a cosmetic mirror, bathrobe, relaxation shower, clock radio with iPOD and MP3 connection and the Premium Club Service. Occupancy: 3 adults / 4 total. Bedding: 1 king and 1 sofa bed. Rooms feature a room with a king size pillow bed connected to a room with 2 sofas, terrace with whirlpool, minibar, coffee maker, hair dryer, iron and ironing board, safety deposit box, 2 42-inch LCD TVs, Video On Demand, WiFi, lighting system with sensors, telephone, and alarm clock with iPod docking station. Guests staying in this category room also have exclusive use of the Club Premium facilities. Occupancy: 2 adults / 2 total. Bedding: 1 king and 2 sofa beds. Rooms feature a room with a king size pillow bed with a living room and terrace with whirlpool, minibar, sensor lighting system, in-room electronic safe, coffee maker, iron and ironing board, clock radio with iPod and MP3 connection, TV, and fully equipped bathroom with hair dryer and slippers. Guests staying in this room category also have exclusive use of the Club Premium facilities. Occupancy: 2 adults / 2 total. Bedding: 1 king. 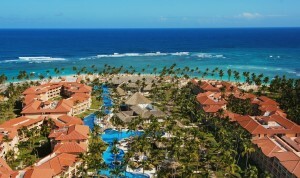 Bohio Dominicano – Dominican buffet restaurant open daily for breakfast, lunch and dinner. Casual dress code. 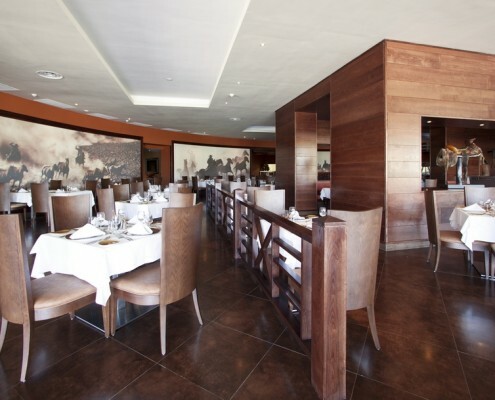 Miramar Restaurant – International buffet restaurant open daily for breakfast, lunch and dinner. Casual dress code. La Dolce Vita – Italian cuisine specialty restaurant open daily for dinner only, served a la carte. Dress code – casual elegant. Sante Fe Steakhouse Restaurant – Steakhouse specialty restaurant open daily for dinner only, served a la carte. Dress code – casual elegant. 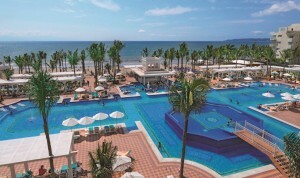 Mexico Lindo – Mexican cuisine specialty restaurant open daily for dinner only, served a la carte. Dress code – casual elegant. 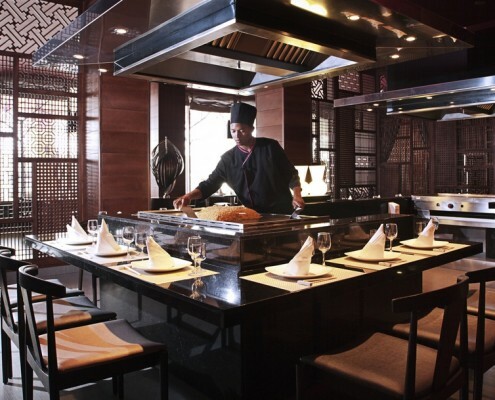 Kyoto – Oriental cuisine specialty restaurant open daily for dinner only, served a la carte. Dress code – casual elegant. 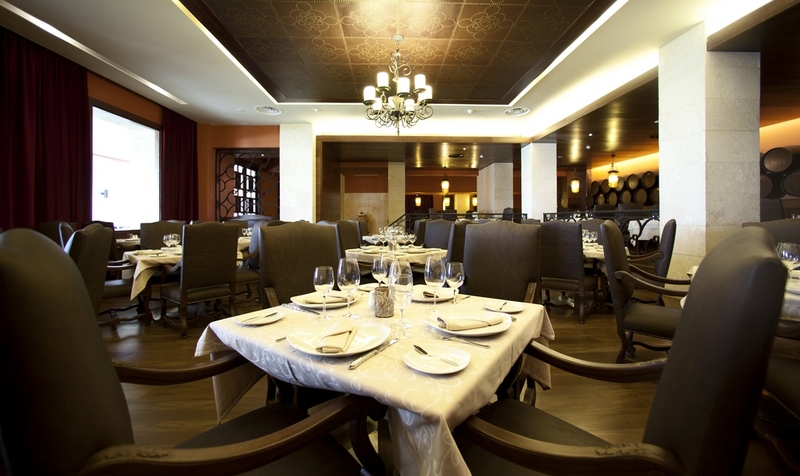 La Comedie – French cuisine specialty restaurant open daily for dinner only, served a la carte. 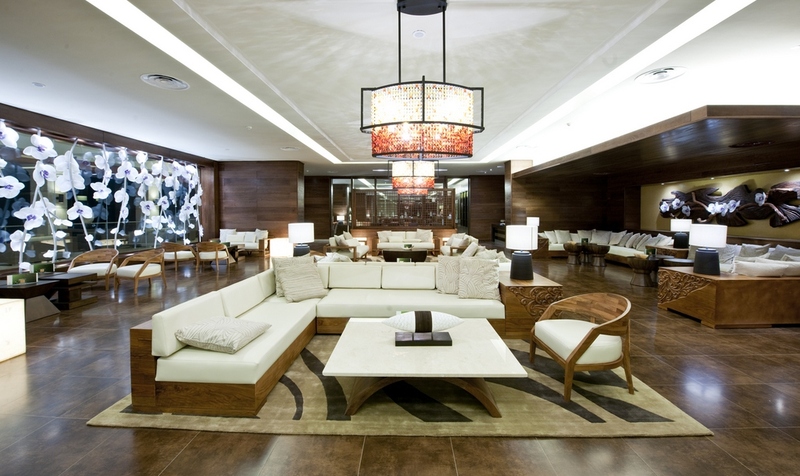 Surcharge applies to those guests who are not staying in the Premium Club. Dress code – casual elegant. 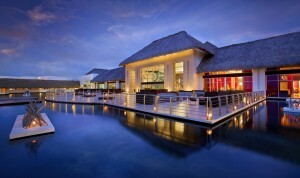 Coral – Seafood specialty restaurant open daily for dinner only, served a la carte. Dress code – casual elegant. 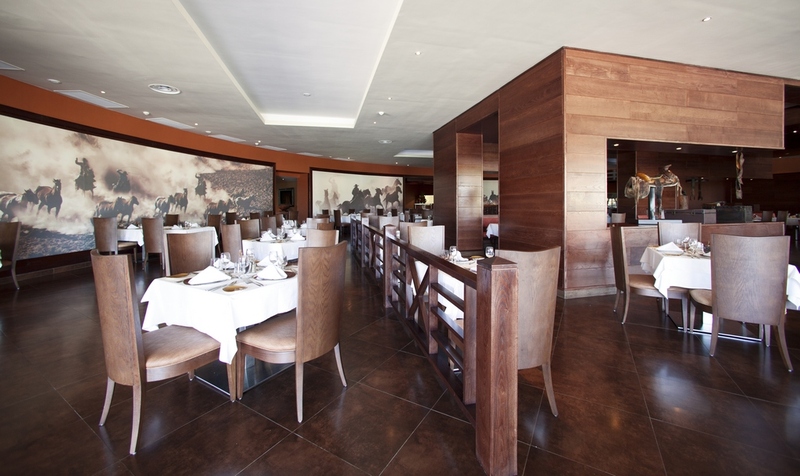 La Fuente – Spanish cuisine specialty restaurant open daily for dinner only, served a la carte. Dress code – casual elegant. 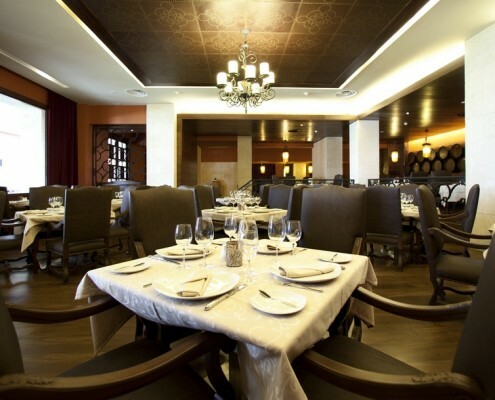 La Brisa – Mediterranean food open for dinner only, served a la carte. Dress code – casual elegant. 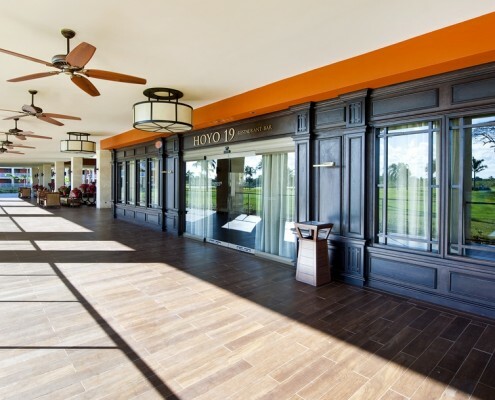 19-hole – Restaurant specializing in international cuisine open for dinner, and as a snack bar in the morning and afternoon. Dress code casual. 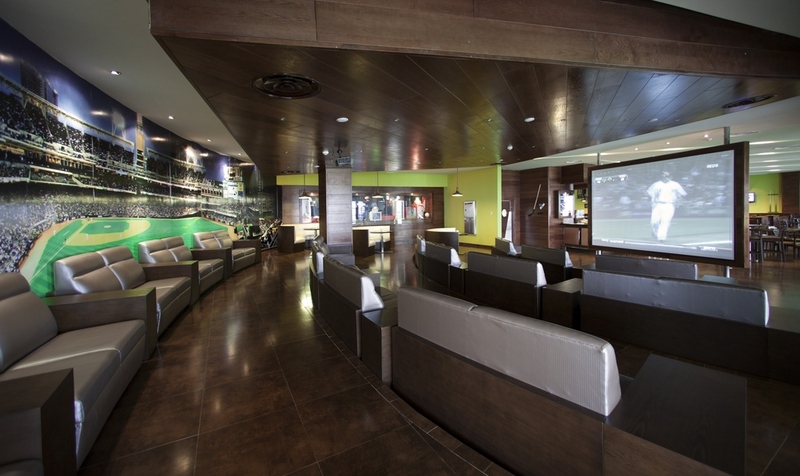 Coffee, Rums & Cigars Lounge Bar – Coffee, Rums & Cigars Lounge Bar (for people over 18) next to the main lobby. Open from 4 pm to midnight. 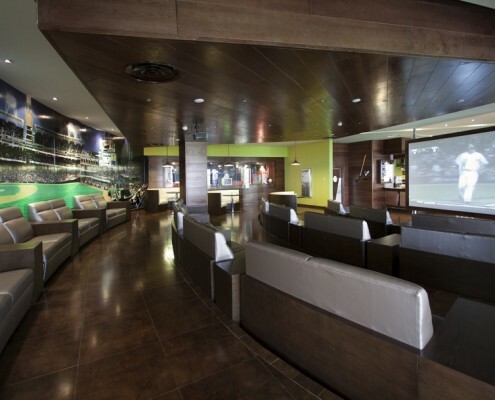 Strikers Sports Bar – American-style bar open 24 hours. 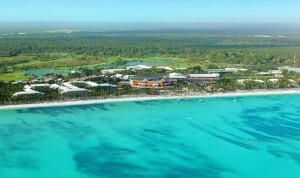 Bávaro Disco Bar (for people over 18) – Open from 8 am to midnight. 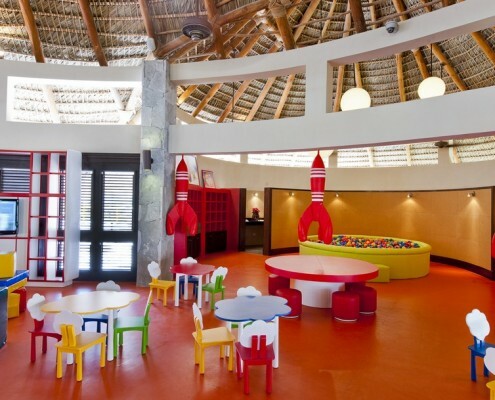 Bávaro VIP Lounge Disco (for people over 18) – on the 2nd floor of the Bávaro Disco Bar. 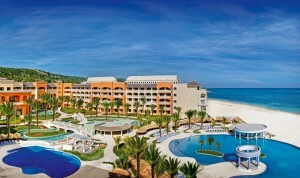 Included for Club Premium guests. Other guests pay a supplement. ). Open from 8 am to midnight. 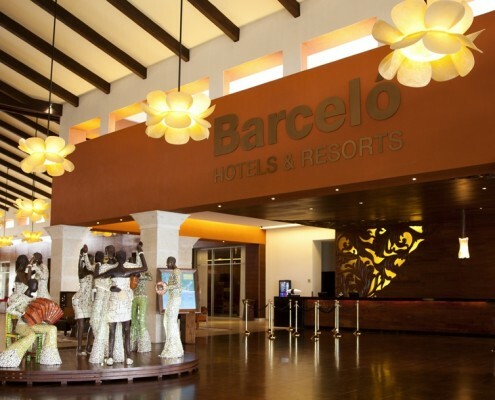 Black Jack Bar Casino –Located in the Bávaro Casino. Open 24 hours for people aged 18 and over. 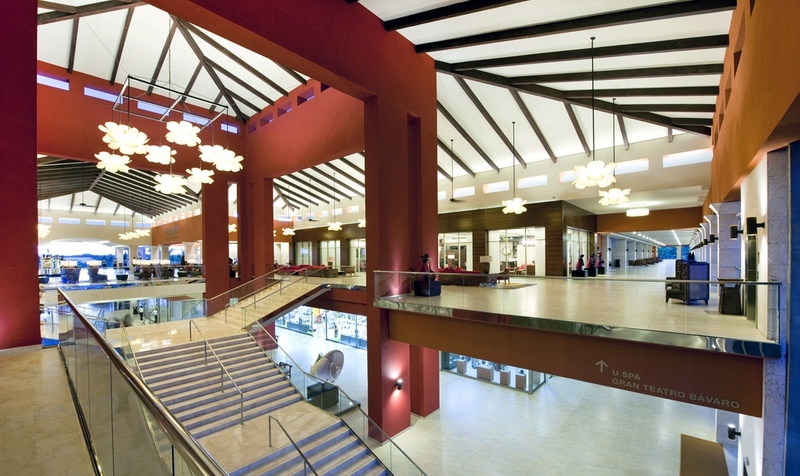 Theatre Bars – Located on the 1st and 2nd floors of the wonderful Bávaro Theatre. Open from 8 pm to 11.30 pm. 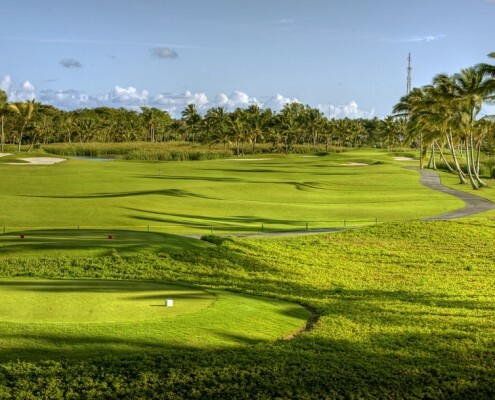 Golf – An 18-hole golf course designed by the prestigious PB Dye. 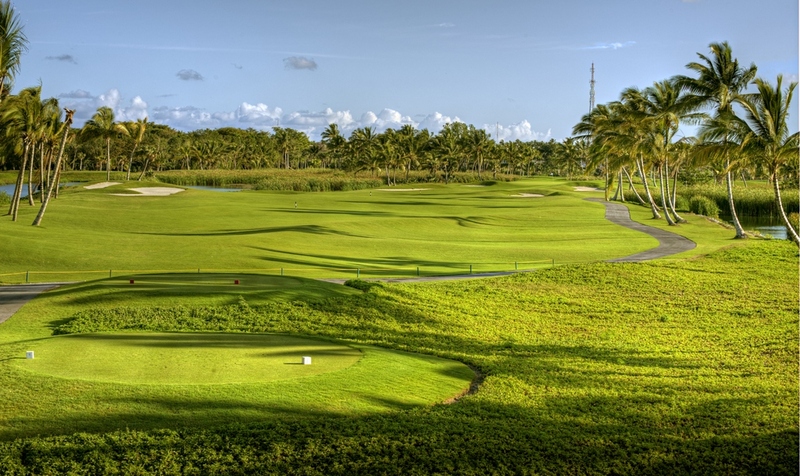 At the Barceló Bávaro Beach Resort, playing golf is a once-in-a-lifetime experience. Non-motorized water sports on the beach. Snorkelling masks in the swimming area. 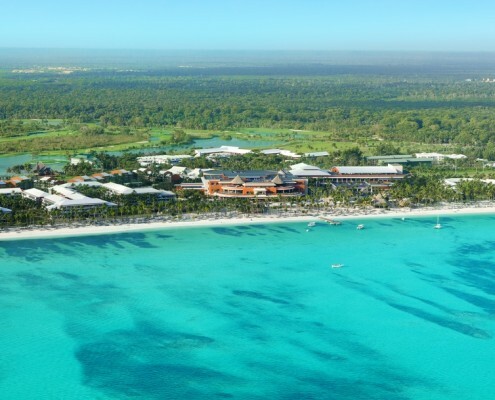 Casino – The best place for gaming in the Caribbean. 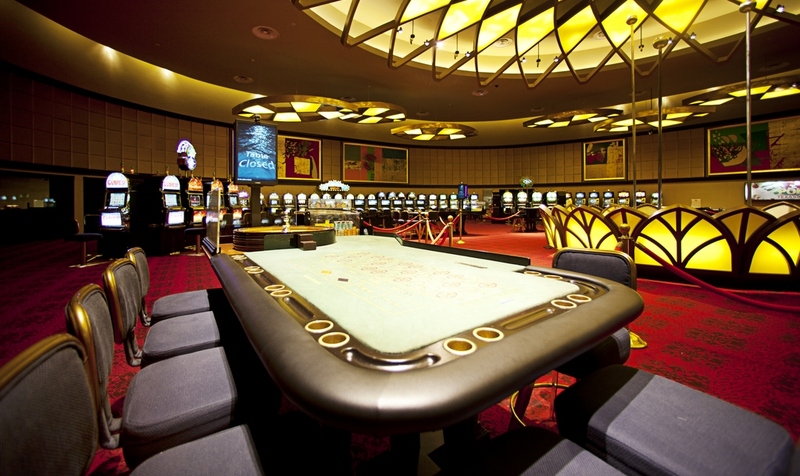 Open 24 hours (for people aged 18 and over) Have fun with the table games, including American roulette, blackjack, Caribbean Poker and Texas Hold’em. Try your luck on our slot machines! 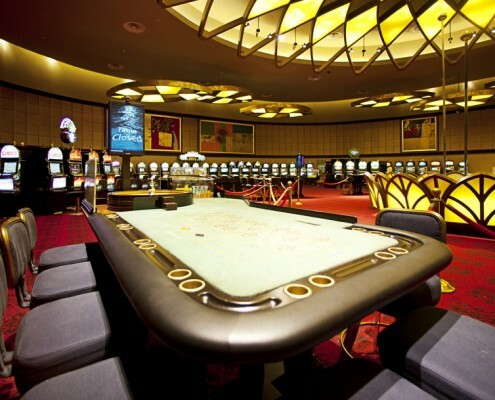 Contact the casino staff to organize a game of Texas Hold’em with your friends! 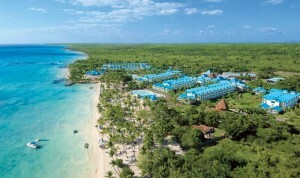 Spa – Set in the Barceló Bávaro Beach Resort with spectacular sea views, a unique place in the Dominican Republic. 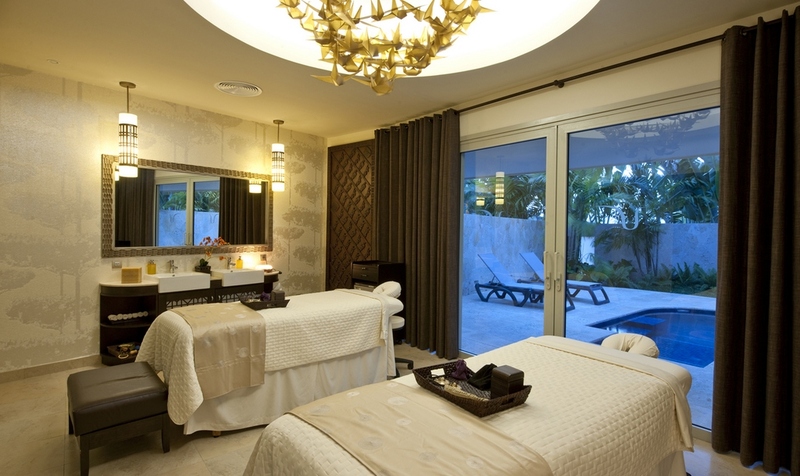 Rediscover the wellness, health and beauty concept and let us do everything we can to ensure your greatest comfort during our treatments. 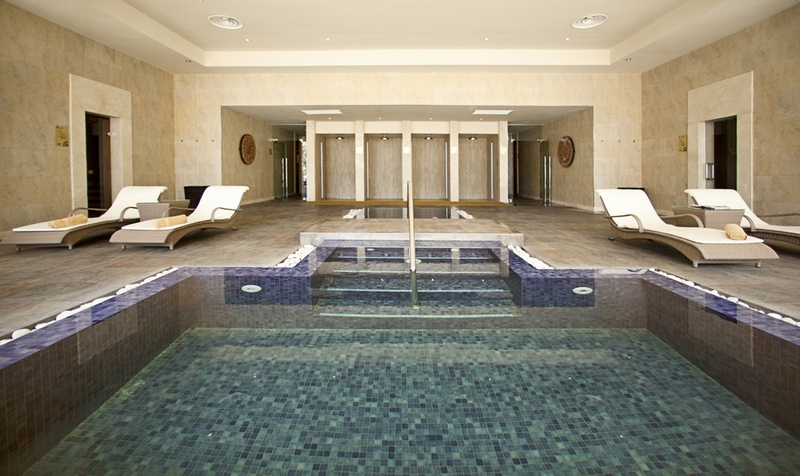 The latest-generation Wellness Centre has an outdoor pool with water and beauty therapies; relaxation, therapeutic and sports massages and other leisure facilities.